Whale watching in Australia has grown tremendously over the last decade. 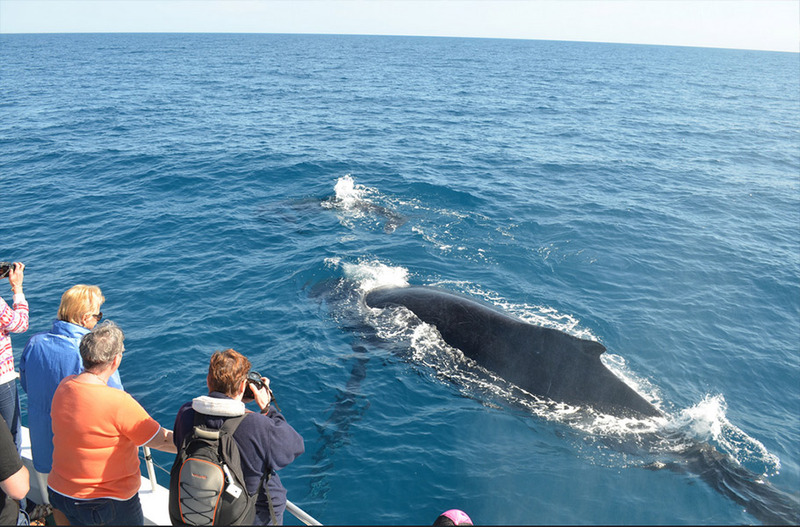 The long whale season in Australia – between May and November – no doubt contributes to its growing popularity. But whale watching season differs throughout the country and so do the kinds of whales you’ll see. In May, whale groups including humpbacks and southern right whales migrate from the waters of the Antarctic to the tropical waters of Australia for mating season. Minke whales and even the rare blue whale also make a stop in Australia’s waters throughout their migration. The warm waters provide a safe habitat for delivering and nursing their calves, contributing to the growing whale population in Australia. With nearly 60 per cent of the world’s whales found in Australia’s waters, it’s no wonder this is a top whale watching destination. Make your stop along the coasts of Australia – the best place to see whales – for an incredible opportunity to see these iconic gentle giants on your Australia vacation. Read our guide below to discover the best times to see whales during whale watching season in Australia. Every year along the southern coast of Australia you’ll see southern right whales migrate to the bays of Victoria and South Australia to give birth. Whale watching season for southern rights in this region is between June and October, when they swim closest to the shores. In Warnambool, Victoria, blue whales are occasionally seen in May. 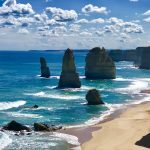 Cross off two breathtaking experiences at once and journey along the Great Ocean Road on the southeastern coast of Australia. Cruise one of the world’s most scenic drives and stop at popular lookout points to stretch your eyes across the waters below your to spot whales frolicking and breaching. Southern rights are the most commonly spotted whale from different points along the Great Ocean Road, including at Cape Nelson, Portland Bay, and Warnambool. These curious whales tend to venture close to humans, often swimming close to boats and ultimately lending to an incredible experience with these gentle giants of the sea. The east coast of Australia offers excellent opportunities for whale watching, especially along the coasts of New South Wales and Queensland. The best time to see whales in popular destinations throughout the east coast ranges between May through July and September through November. In Sydney, you’ll typically spot humpback whales close to shore making their journey toward Queensland. Humpback whales, like southern rights, are friendly and curious about boats and divers. 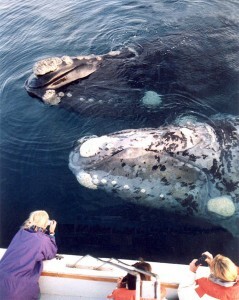 Their inviting nature has given them the reputation of the most popular whales among whale watchers. Venture out to the ocean and get a glimpse of humpbacks in their natural habitat with a whale watching cruise in Sydney. 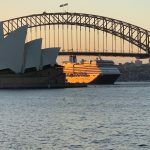 These whale watching cruises typically combine whale watching with sightseeing and information on Sydney’s history. Cruise vessels provide an intimate experience by carrying only up to 11 passengers. 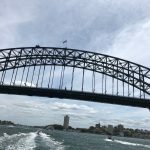 You’ll enjoy a private, small group tour along the Sydney Harbor with personalized and knowledgeable commentary about the city and whales throughout your journey. Soon you’ll be an expert on Sydney and whale behavior patterns. 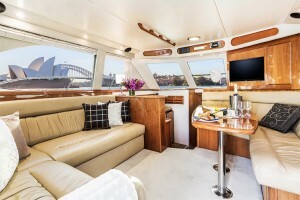 If you like to cruise in style, Sydney offers luxury whale watching cruises complete with a gourmet luncheon served on-board and drinks to purchase. Comfortable indoor seating allows you to sip on a cocktail while watching the giants of the sea. Or you may take in the blue expanse of the ocean out on spacious viewing decks. Whale watching has never been so luxurious. 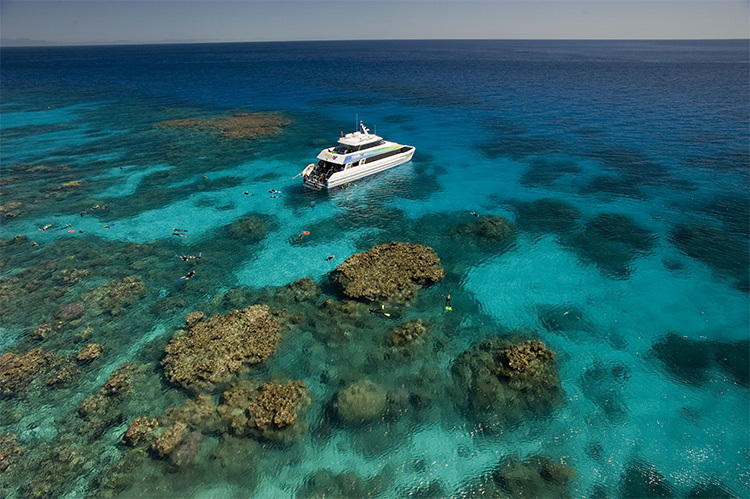 From snorkeling to diving, glass bottom boat cruises to helicopter tours, there’s no end to the ways you can experience the truly breathtaking wonder of the Great Barrier Reef. Take a cruise to the reef and not only will you experience the world’s largest living organism – the reef itself – but you may also see whales, the world’s largest animals. Whale season attracts humpback and dwarf minke whales between May and September to the warm waters of the Great Barrier Reef. The best time for whale watching in this region, however, is between July and September. If you’d rather keep your feet on the ground but still yearn for the special experience of seeing a whale, Australia’s east coast is the best place to spot whales from the beach. 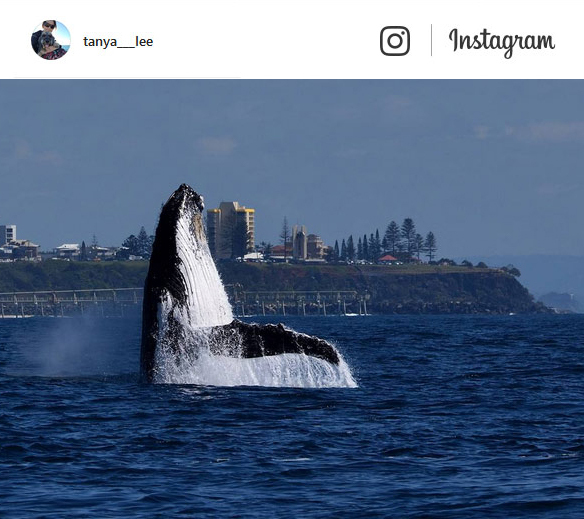 The Gold Coast is rapidly becoming the premier whale watching site in Australia, with whales venturing as close as one or two kilometers from beach shores. Whales may be spotted all throughout the regular whale watching season in the Gold Coast, peaking in August. Numerous lookout points along the Gold Coast provide great ocean views where you’ll spot humpback whales breaching and shooting big spouts of mist into the air. Point Danger, a headland on the southern end of the Gold Coast, is renowned as a premier spot for whale watching on land. Other great vantage points include Burleigh Hill and Miami Hill. Humpback whales make a stop on their return migration to enjoy the waters of Hervey Bay. The clear waters allow you to easily see humpbacks as they frolic and breach, basking in the sheltered waters of Fraser Island with their young. The best time to see humpbacks in Hervey Bay is between July through October, right before they head south again for feeding. 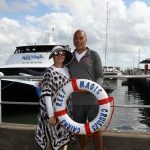 You will typically begin spotting humpbacks twenty minutes into a cruise out on the waters of Hervey Bay – perfect for the eager whale watching enthusiast. Sometimes the whales venture close to the boats, a delightful treat for lucky passengers. An even better treat is getting to swim with the whales. The once in a lifetime opportunity to swim with whales awaits at Ningaloo Coast. This World Heritage Site is located in the north-west coast of Western Australia. Here, whale watching adventures can combine a snorkel on the Ningaloo reef with whale watching and swimming on a full day tour. Take a cruise between March and September for the chance to get up close and personal with these friendly giants. And the giant you’re most likely to meet on a whale swim is the whale shark. Don’t worry though – classified as the world’s largest fish, these animals are more like whales in their behavior than sharks. These docile creatures are accustomed to swimming alongside humans, with a diet consisting of only micro-organisms such as plankton and krill. 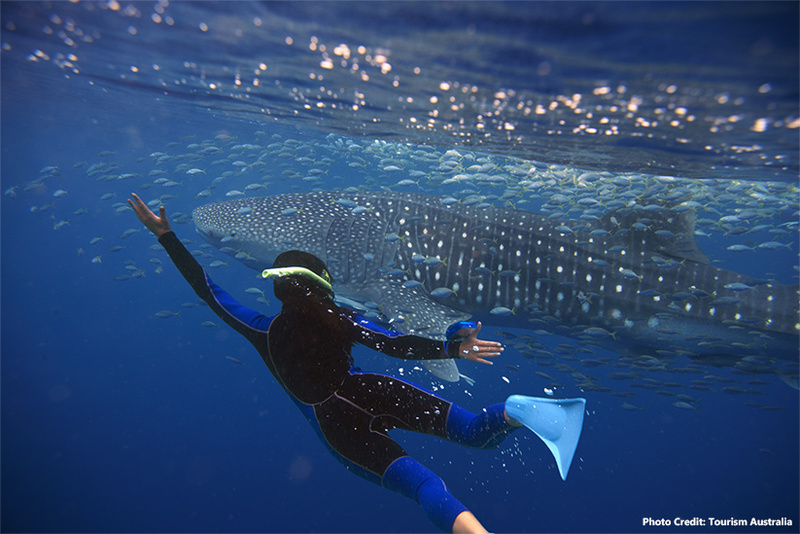 So there’s nothing stopping you from taking the plunge and swimming with whale sharks! Meeting a new friend means first gaining their trust. The same holds true even for these enormous creatures. You’ll enter the waters with an expert guide in a small group of up to 5 swimmers, so as not to scare off the whale shark. Gaining the animal’s trust may take up to half an hour, but that’s a small price to pay for such a grand experience. To ensure this exhilarating experience goes as smoothly as possible, a spotter plane flies overhead and alerts the crew on board when a whale is spotted. A photographer joins the swim to capture unforgettable underwater moments you can look back on. Other friendly and inquisitive whales that you are likely to meet on a whale swim are dwarf minkes. These whales hang around the Ribbon Reefs of the Great Barrier Reef between May and September, peaking in early July. This region is the only place in the world where humans can interact with these whales. With a limited number of tours permitted to offer swimming with minke whales, you don’t want to miss out on this special experience! Day trips and even 3-7 night excursions onto the sea are available for enjoying minke whale watching and swimming. If you are unsure about swimming with whales, minke whales are just gentle enough to try out the experience. They often seek out human company, swimming around snorkelers and divers and approaching boats just within a few yards. Just another reason why Australia is the best place to see whales – you’re able to experience whales in their natural habitat. All along Australia’s coastline are fantastic spots to see whales. Whether you’re a swimmer and ready for the once in a lifetime experience of swimming with whales, or if you’d rather keep your feet on the ground and see whales frolic in the ocean from the beach or a cruise, there’s a spot in Australia perfect for your style of whale watching. 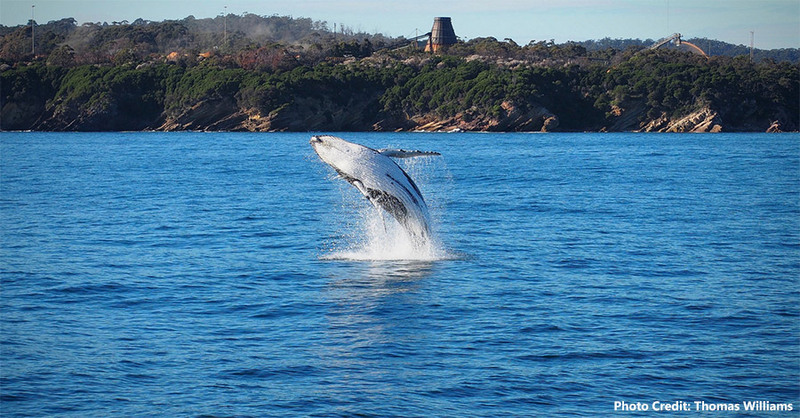 Want to include whale watching in your trip to Australia? Contact one of our expert Destination Specialists. We’ll set up the perfect whale watching experience for you to see these majestic giants of the sea. Phone us Toll Free on 1-888-359-2877 (CT USA, M-F 8.30am – 5pm). Don’t ever let Koda go!!!!! Koda was absolutely amazing. Truly the best trip of our lifetime. We cannot thank you all enough for this. We will always use Koda for future trips. 100% satisfied. About Australia will be referred by us to everyone. Fantastic Honeymoon! About Australia took care of everything, all we had to do was have fun! We really enjoyed the tours that we were scheduled for. The guides on all the tours were excellent, they were all knowledgeable, a lot of fun, we enjoyed chatting with everybody. They helped me plan a amazing anniversary trip that I will never forget. We had minor hicks up but it was taken care of. I just wanted to share how much I enjoy dealing with About Australia. You have great people working to make business travel as painless as possible. I have worked a lot with Chris Reech – he is brilliant. A trip of a lifetime! What an amazing experience. The accommodations and extra excursions we did were wonderful. 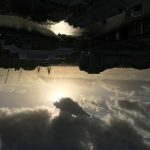 The only thing I would have changed was I wished we had a little more time in Sydney (it was more like a very long layover rather than a visit to the city). Ana was wonderful and helped us plan a trip I will always treasure! this outfit to anyone who wants to go to Australia. The entire experience was amazing! From booking in the short time we had, to the surprise of such a great value and then when we were there, we could not believe how wonderful everything was...from the hotels, to the excursions to the flight and transfers. Absolutely flawless, best value and would highly recommend Marissa and About Australia again! Thank you so much for a wonderful experience! Our trip was so smooth and so affordable we could not believe it! Accommodations were wonderful - clean and right in the middle of the action in all 3 areas we travelled. Flights were wonderful and transfers reliable and on time. I cannot think of a way it could have been better! 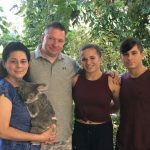 About Australia Travel Agency and Christopher R (agent), did a great job in organizing, communicating and providing me and my husband with top notch accommodations and exhilarating excursions. Even though we had a few glitches due to acts of God, everything else went as planned. I give them an 'A' for a job well done. Booking through About Australia made the trip very easy. It was nice not to worry about finding accommodations and flights and they provided good recommendations for each location. I would use the service again. I did feel that we spent too much time in some places and not enough in others, but that likely kept flight costs down. We really enjoyed our trip to Australia. The accommodations exceeded our expectations, especially the apartment in Melbourne. Our first trip to Australia was unforgettable! It was am amazing trip that covered a lot of the country. Only regret was we were running out of time and would have liked to spent more time in each location. Do your study before you go, the instructions in the voucher help but the little things you can miss make it important to study and plan. Being "Down Under" was a top experience! Ana did a great job! In less than 3 weeks we saw the top spots ob Australia's south, middle and north. Everything was well organized, just showing the voucher and we could pass. About Australia really knows Australia and excellently shared their experience with us. We had a fantastic and wonderful experience. All our connections went smoothly and the Mantra hotels were very clean and in great locations. The three excursions that were booked for us were exceptional. We would definitely recommend your company to our friends. Australia is a big country!! 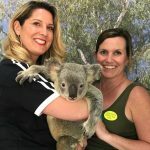 We are so glad we used "About Australia" tour and self-guided services!!! We got such a great deal, it made me wonder “what’s the catch?” No catch, just a wonderful adventure! We had a great time and we were so grateful that About Australia had taken care of all the details. Eventhough we kept making changes to our plans (dates, cities, activities, etc) even during the trip, the staff was super patient and accommodating. It was an awesome vacation except for the 24 hours of traveling(LOL). The hotels were great but made you pay for WIFI, the US does not make you pay for it. I would definitely recommend to everyone. 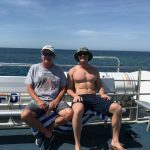 My husband and his brother had a very nice time in Australia. Thank you for your help in coordinating this adventure. Ana Musgray hit the nail on the head! Had a great time. Perfectly Scheduled, not great Hotels. Glad we didn't stay in Cairns 4 nights. We had a great time, everything happened as planned. No issues there. 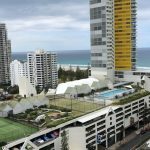 The hotel in BroadBeach was great. Hotel in Cairns was old but do able. The hotel in Sydney was not good. Luckily we changed the plan to stay 3 nights in Cairns and 3 nights in Sydney instead of 4 nights in Cairns. That would have been a big mistake. 2 nights in Cairns would have been enough. 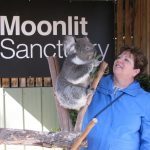 Recent Australian trip was an excellent adventure! Everything went exactly as planned. There were 5 of us and every hotel room every activity and every shuttle was on time and perfect! Our trip could not have gone better! 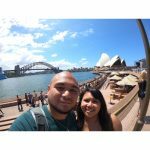 THIS TRIP WAS AMAZING WAS ABLE TO SEE DIFFERENT LOCATIONS THROUHGOUT AUSTRALIA, EVERYTHING FROM THE FOOD TO THE PEOPLE WAS AWESOME. ALL OF OUR ACCOMODATIONS WERE FANTASTIC. ABOUT AUSTRALIA IS THE ONLY WAY TO GO IF TRAVELING ABROAD TO AUSTRALIA. Can not describe how wonderful this trip was. Every flight perfect with pickups always on schedule. Each hotel was better than described. The excursions where a highlight of every city and where very fairly priced. 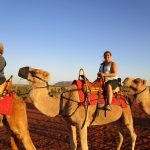 We added some additional tours and Chris Reeh our agent from "About Australia" handled these additions with ease. Best Vacation EVER! 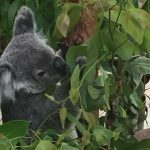 I'm not one to write reviews - but our trip to Australia was perfect in every way. From the flights, to the transfers, accommodations, & excursions - everything went without any hitches. Accommodations were comfortable, and the people so very nice. We have NO complaints. Australia is beautiful. Our trip was well planned and very organized. Daily vouchers were easy to understand and all travel documents were very organized. Darin was extremely helpful and readily available for questions and concerns. I would definitely recommend About Australia for your travel needs. This was the best trip of my life hands down. I was afraid that since I was saving so much money I would be getting a lesser quality trip, but I was pleasantly surprised! I wasn't totally convinced that this would work out. But, it did. Darin Hendry did a fabulous job of making our trip perfect. I was worried- I didn't have to- he's a 5 star pro. We loved it all. I reviewed properties with the travel agency which had some issues, and these comments are said to be considered for future clients. I'm awaiting resolution of an airline baggage charge with which the agency is assisting. I'll try to post photos after I'm back from catchup mode; having been away a month. Thank you Ana, for your great service! The trip overall was AMAZING! I had a nice time in Australia. 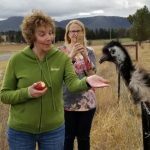 Had the opportunity to meet 4 other women on a similar adventure from various parts of the US. Their package very similar to mine so we spent time doing activities together and having meals together. Awesome trip with plenty of variety. Closing out our trip in Fiji is the best idea ever. Thank you for making this amazing trip happen! Enjoying the majestic waterfalls of Doubtful Sound. We enjoyed a great time in New Zealand. 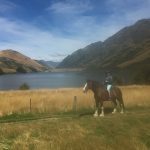 We particularly enjoyed the scenic South Island, and Hobbiton on the North Island. It was an amazing family vacation almost everything was pre-paid and booked we just had to show up and have fun!! Ana was very patient with me and she was able to accommodate all my requeats and answer all my questions. Overall, our trip was wonderful. Unfortunately, they had to change agents in the middle of planning so we lost some continuity. Majority of accommodations were great. Tours selected wonderful. My only recommendation for those using About Australia, thoroughly check and read all final documents including seat assignments on airlines. My boyfriend and I (both 72 years of age) have just returned from a six-week, custom-tailored, independent trip to Australia and New Zealand. We truly enjoyed the trip you planned for us. Everything went smoothly, and the activities you chose for us were amazing. About Australia did a fantastic job planning our trip. We enjoyed the flexibility of designing it based on our preferences. I highly recommend this service! My daughter and I had an amazing time Down Under thanks to About Australia. Our hotels were wonderful and located perfectly in order to explore more of the cities we were visiting. All of the recommendations before we left were extremely helpful. It made a last minute trip into a relaxing vacation. Great trip. Loved every moment of it. Just what I wanted and more. 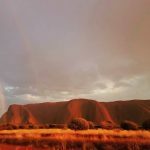 Ana Musgray helped me plan my dream trip to Australia and New Zealand. Everything was so well organized all the transfers,or coach buses were right on time and ran seamless. This county is absolutely beautiful and the people on my tour were so much fun! I had the time of my life and will never forget my amazing holiday! I hope to return one day and will definitely contact Ana again. We really enjoyed our Australia vacation, especially our visits to Sydney, Melbourne, and Port Douglas. Everything went smoothly - no problems with travel arrangements, and the accommodations were comfortable and spacious. 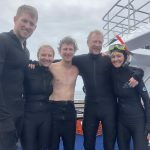 Our snorkel/scuba trip to the Great Barrier Reef was wonderful. 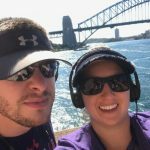 Thanks to About Australia for helping us plan the trip of a lifetime! Thank you Ana ,you are the best and very professional. Amazing trip to Australia !!!!!! Very soon will be back with our son Richard. A most excellent vacation as a result of working with Marissa Stroud! Perfect accommodations, wonderful tours, and accommodating flights with Virgin Australia. The trip you helped me put together for my clients was absolutely perfect! Great trip. Everything was perfect. Thanks Darin for all your help. You did a great job. my number one bucket list location to travel too. We had a very well planned trip by about Australia, the activities were fun. The rooms were fantastic. Only complaint it wasn’t long enough. I’d definitely use them again and recommend them to friends. Everything went smoothly. The accommodations were conveniently located. The transfers were on time. The Short-Stay property in Melbourne was above average. Cairns was an interesting experience. 3 countries, 13 flights, 31 vouchers, 0 problems. This was a well orchestrated trip by Ana at AboutAustralia of Australia, New Zealand and Papua New Guinea. Awesome trip, can’t wait to do another! Experienced help made our trip smooth and memorable. It was amazing, the experience was well worth the cost. About Australia and Christopher Reeh set up the most amazing vacation for us. If there was a rating above 5 stars, we would place these travel experts into that category. 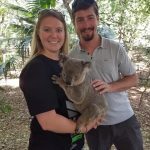 Traveling to New Zealand and Australia had been on our wish list for awhile and putting trust in Christopher with our travel plan destinations was the best decision we could have made. Thank you for the memories. The paper work including what to do pre trip was great, Australia is a long way so Ana extended my return an extra 10 days so I could have more time with son and visit Tasmania. For my return next year I plan on using their services . 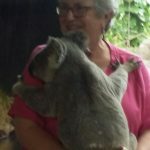 The koala hug was worth the trip! I was particularly pleased with how smoothly all the transportation and tour arrangements went. We never had a problem or question about shuttles and everyone was expecting us when we arrived. The trip was fantastic and I wish it could have been longer. Koda Boulton was the one who helped me and she's was amazing even with all my questions and my unfortunate criminal background. Still got in with no problems and had a great itinerary set up. Couldn't have seen Australia in a better way than that. Strongly recommend About Australia. Good price too! Flexible. 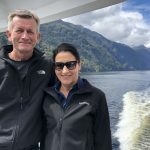 Thoroughly enjoyed our vacation - Princess cruise New Zealand was great. Hotels in Sydney, Gold Coast were excellent, our hotel in Cairns the room itself was lovely, unfortunately the view from the room was a steel roof and brick wall - again the room itself and the staff were very nice. Amazing vacation! Bucket list trip! Took care of all the things that might make a trip to Australia difficult. We had a great first time trip to Australia. Darin and About Australia were great to work with. The sites we visited were fantastic. The hotels were excellent. The day trips and operators were first tier. Everything about the trip went smooth and was above expectations. Well Done! My husband and I heartily recommend About Australia. Although I had done a great deal of research myself, it was wonderful to have these pros take over the details of day trips, accommodations, flights, transfers, and car rental. They put us in hotels that were wonderfully located but met our budget requirements. All three weeks of our Aussie adventure came off without a hitch. This trip was AWESOME and exceeded my expectations! Going to Australia and snorkeling at the Great Barrier Reef has been #1 on my "Bucket List" since I can remember! All the stars fell in line this year, so we decided, "This is it...we're going!" 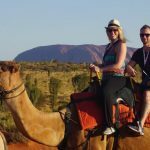 We engaged with About Australia (Darin Hendry) nine months ago for a recommendation on an itinerary for a first time visit and 20th anniversary trip to Australia. From the beginning the guidance, interaction and ultimate proposal was spot on. Everything was well planned out and taken care of before we flew to Sydney. Plans went smoothly. We had a few changes to make during the planning and Koda was very helpful. This is the 1st Australia trip, we already thinking going back! 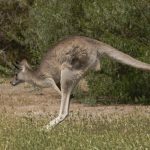 About Australia made it easy to plan our trip to Australia and included everything we needed, ensuring we did not miss any of the most popular attractions. We absolutely loved our trip and are already talking about going back. Down under was above expectations! Thanks, Darin, for the wonderful trip you designed for us in Australia. We had a blast! The hotels were right in the middle of things, the tours were amazing and first class, and if I needed advice you were right there for me. I would not have been able to plan this trip without you because you had been to Australia and you knew just where to send me, and in the style I wanted. Wonderful trip!! Just two issues.